The APPS Index offers a comprehensive assessment of current well-being and future sustainability based upon 27 indicators related to the 17 Sustainable Development Goals (SDGs). The map gives a snapshot of the current level of well-being for 139 countries. By clicking on each country, it is possible to visualize the score, ranging between 0 (not sustainable) and 100 (sustainable), of the APPS Index and the SDG Indicators. A multi-step methodological framework was developed to compute the current and future values of SDG Indicators and Composite Indices. On September 25-27, 2015, the UN General Assembly adopted the 2030 Agenda for Sustainable Development, structured in 17 SDGs to be achieved worldwide within a global development strategy by 2030. The 17 SDGs cover all spheres related to social and economic development while preserving the environment, thereby formulating pathways to achieve a sustainable World by 2030. 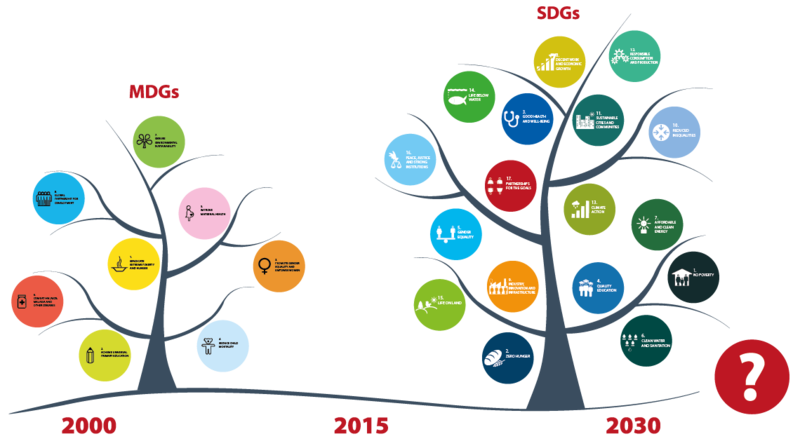 SDGs are built upon the Millennium Development Goals (MDGs) and aim to close the remaining unsolved gaps in 2015 as well as to address old and new challenges for future development up to 2030. Where will the World be in 2030? Policy Scenarios: compared to the reference scenarios, they will further our understanding of the implications of sustainability policies on SDGs. The main focus will be on Social (poverty and inequality, food and hunger, education) and Environmental Policies (climate and energy, water, land use).